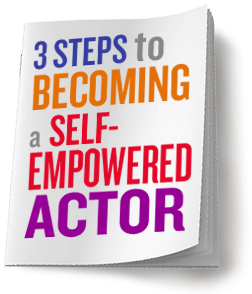 Actors are well trained in the methods and techniques of their craft, but they soon encounter a gap in their education when they enter the world of work. They have little or no training in how to manage themselves, their state of mind, their confidence, or their motivation. A non-textbook-like textbook, by Connie de Veer and Jan Elfline, that offers fresh, accessible insights and exercises that are nothing short of game changing. The perfect text for any auditioning class preparing students for their career. My approach to teaching and learning is simple: When we’re engaged emotionally, learning happens. Engage the body, and you’re really in business. Throw in some laughter and play ... well, now that’s golden. Connie was an inspiration to me. 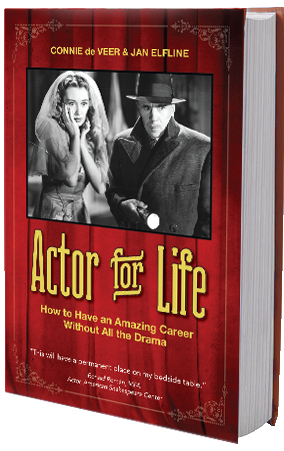 It was because of her ability to connect with actors on an artistic and personal level that gave me all the tools I needed to succeed in this business. Connie’s expertise and skills are unparalleled... Her focus on self-care strategies and positive imaging tools makes her a teacher who is providing training for a lifetime of learning. Connie’s students leave her class exceedingly well trained as actors, and equipped to live a healthy way for the rest of their lives. Connie’s ability as a teacher is second to none. She pushed us, in the most loving way possible, encouraged us to challenge ourselves, discover new things, and approach the things we were afraid of.